while an unsuspecting (really: uninformed) user may be fooled to turn of her first line of defense, i.e. 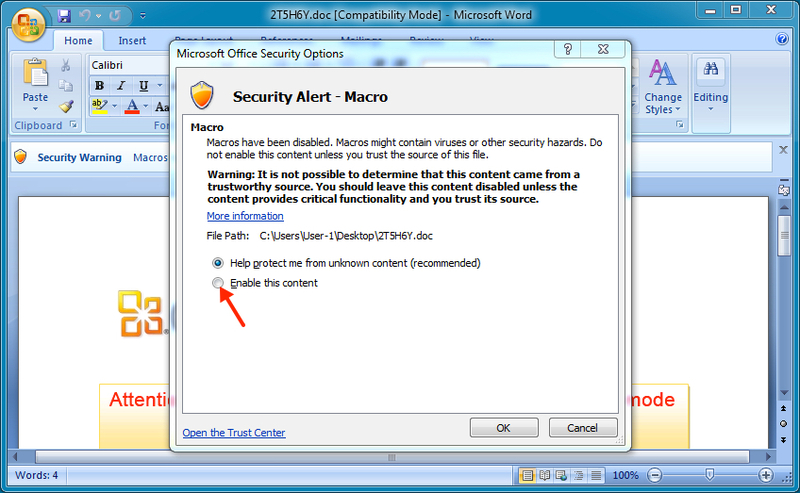 enable execution of macros in Microsoft Office for her user account and thus allow the first stage of the malware (typically a dropper/downloader) to run, the second line of defense, AppLocker or SAFER alias software restriction policies, which was set by her not so uninformed administrator and can not be turned off by unprivileged users, effectively blocks the execution of the payload (which typically is the real malware). 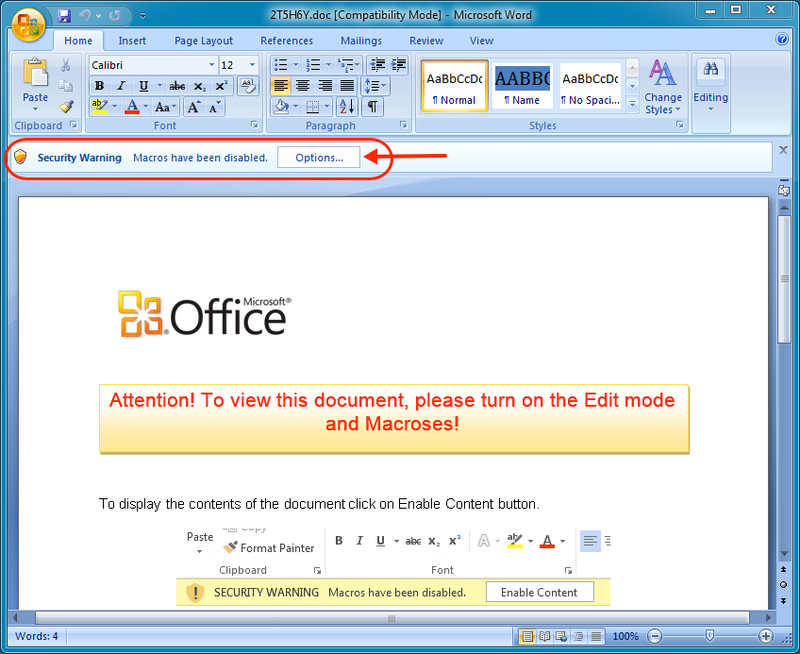 So: administrators, start your eng^W^W^Wenable AppLocker or SAFER! An important takeaway from this example that I always use in my security awareness training, is that both of the sample email messages are poorly written and each contain several grammatical errors. I use these type of messages in my training to illustrate that if it doesn't look right, then it probably isn't. Thanks, Ian. These types of malspam are good to train with, and there are many to be found. | if it doesn't look right, then it probably isn't. But if it /DOES/ look right, it might still be wrong! Last month I personally received two e-mails, purportedly sent by German DHL with no e-mail content but with a PDF attachment (I'm Dutch but understand German, and I have ordered packages from Germany in the past). das DHL Paket mit der Sendungsnummer 623846298612 werden wir voraussichtlich am 29.05.2015 zustellen. The only grammatical comment I can make is that "das" in the second sentence doesn't start with a capital-D.
As expected, the actual link points to a zip file on a different (compromised) host than shown. 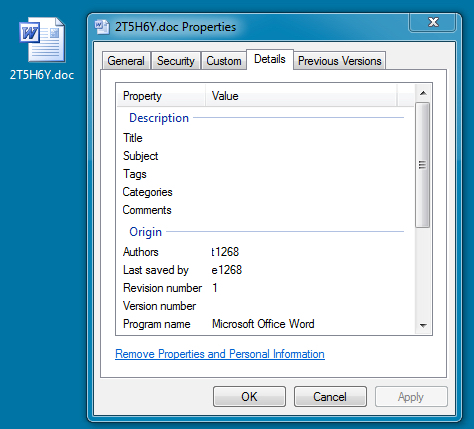 Such a zip file typically contains a PE file with a long file name, for example "DHL_Report_4145196367____ID29_DHL_DE_M05___BD29_05_2015___T23_09_15___MessageId_445670.exe" (https://www.hybrid-analysis.com/sample/fe13e92b8c25f550bcff0c89cbdcc037d77076f5ea539ca9fe630486463e2829?environmentId=2). The file's icon is the one Explorer usually shows for PDF files, while the ".exe" part of the file name is usually invisible because of the long file name, if extensions are displayed at all. I'm not sure whether these PDF's are actually malicious. According to VirusTotal, for example AVG reports "Script/PDF.Exploit.F" in 99a294160035169393099384eb1c292abfbbd551b701a371c00dac20d1549dfa, while F-Prot reports "PDF/UrlSpoof.F". Of interest for reverse engineers might be that the PDF's contain a lot of invisible text, that can be copied to clipboard using Sumatra PDF (that's what I used anyway). It looks like BASE64 but it's not, as it contains characters such as ! which are not part of base64 (see https://tools.ietf.org/html/rfc4648). Conclusion: perfect grammar and zero typo's do NOT mean it is safe to process an e-mail or document (and vice versa). Being asked to click on links (or permit macro execution) in order to read some text, should ring alarm bells, in particular if the link points to another site than shown and/or expected. The biggest tell for me on these emails is that the sender's email address bears no similarity to the person's name used to sign the email off. That's the first thing I look for. I always love these diaries involving dridex, its very hard to get a dridex pcap without a logical host or bypass the VM detection. Keep up the great work! 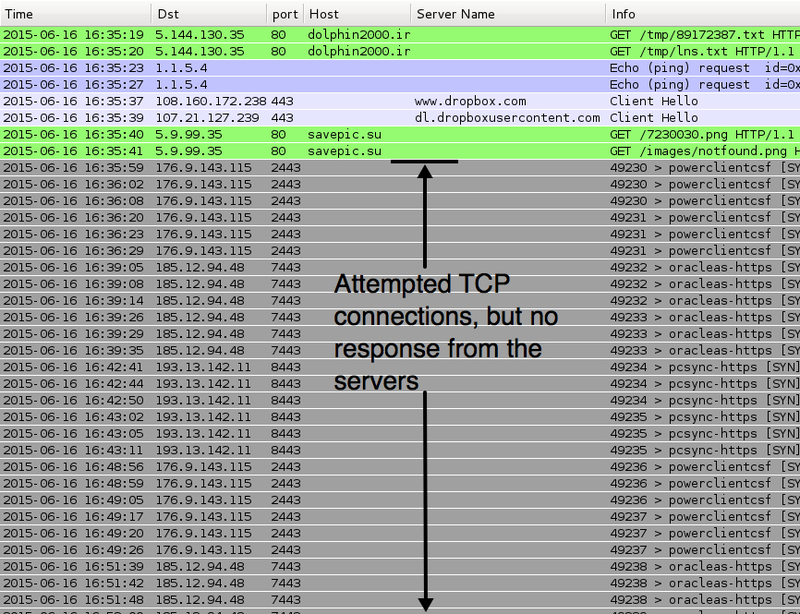 Quoting Mostropi: I always love these diaries involving dridex, its very hard to get a dridex pcap without a logical host or bypass the VM detection. Keep up the great work! Thank you for your feedback and ongoing support, Mostropi.